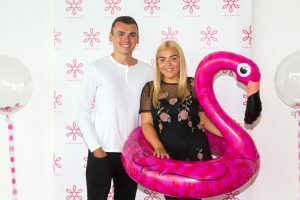 First Choice has teamed up with Vue Cardiff to give someone the experience of a lifetime – a VIP screening of their holiday video professionally edited into a movie trailer. 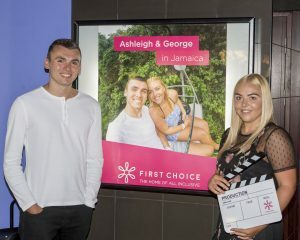 On Saturday 19th August, the red carpet was rolled out for local Newport couple Ashleigh Rees and George Lippiard, as their ‘Ashleigh and George in Jamaica’ trailer premiered at an exclusive event for friends and family. After buying their first ever GoPro camera in May, Ashleigh and George were inspired to create a short film of their all-inclusive trip to Jamaica in June. 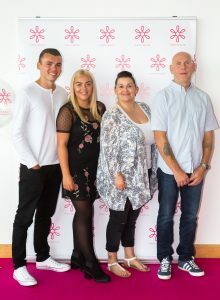 They were so pleased with the results, they decided to enter the footage in First Choice’s ‘All In Productions’ competition, part of a nationwide campaign encouraging holiday makers to make the most of their holiday videos. Rees and Lippiard’s footage of their dream holiday at the Grand Bahia Runaway Bay impressed the experts at ‘All in Productions’ for its confident filming techniques, but also because the content perfectly captured the beauty of the resort and the couple’s enjoyment of their holiday. ‘All In Productions’ was established when First Choice received a heart-warming letter from 10-year-old Middlesbrough schoolgirl Beth Ward earlier this year, urging them to watch her homemade holiday film. The all inclusive experts promptly helped turn her dream of being a professional film producer come true, turning her footage into “Beth in Mexico”. Beth’s professionally edited trailer was then premiered at her local cinema before being rolled out at Vue cinemas nationwide.